The Tetra team is dedicated to providing you with exceptional personal service. We have a diverse background in equipment leasing, finance and business management, which enables us to provide you with creative equipment leasing services to help you get the equipment you need at a cost that fits within your budget. As the first step of his vast and varied professional career, Lon Secrist graduated from the University of Utah with a degree in finance. After graduation, Lon began working at Johnson and Johnson. He moved to San Francisco when he was promoted to Divisional Manager. 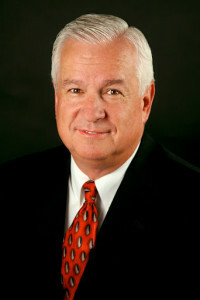 Lon then moved to Salt Lake City, Utah, when he took a position as National Sales Manager for O.C. Tanner Company, the largest recognition jewelry company in the world. He worked with a variety of large and small companies during his time there, and gained tremendous understanding and experience in sales and finance. Lon eventually left O.C. Tanner to become Vice President of Terra Industries. Utilizing his background in finance, he became a true innovator in marketing lease transactions to small community banks. In 1986, Lon decided to start his own business. Together with partner Harold E. Turley, Jr., he founded Tetra Corporate Services (Tetra). Tetra has conducted business with many Fortune 500 companies, as well as structuring creative leasing options for smaller middle-market businesses. His vast experience in sales, financing, and leasing transactions has contributed greatly to the longevity of Tetra. Lon’s vision and knowledge continues to be a driving force behind Tetra’s success. Derek Turley began his professional business career working as an appraisal assistant for a real estate appraisal company in Huntington Beach, California. From there he moved onward and upward, taking a position with Ascensus Insurance in Salt Lake City, Utah. At Ascensus (which eventually became Bisys, a Fortune 500 company), Derek worked as an account representative, developing term, whole-life, and universal life insurance, and learning the ins and outs of working for and with large corporations. 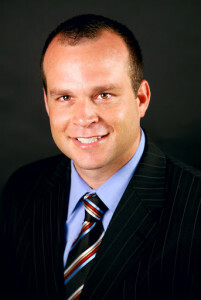 After he earned his Bachelors in Business Management from the University of Utah, Derek began working for another Fortune 500 company, Cintas, as an account representative, involved in corporate identity services of a variety of product lines, as well as training in customer service and sales. Derek also went on to study at Westminster College Gore School of Business, where he earned a Master of Business Administration. In 2001, Derek joined Tetra Corporate Services (Tetra) and is currently serving as President, in charge of sales and syndications of equipment leasing. At Tetra, he is responsible for, among other things, the financial assessment of individual companies, negotiations on lease terms, and placement of lease transactions from $100,000 to $6,000,000. His background in business management and administration has allowed Derek to work closely with Tetra’s clients, to help them obtain the financing that is right for them. Derek’s vast experience accounts for much of the recent successes of Tetra, as well as for Tetra’s clients—from large corporations to middle-market businesses. Because of their flexibility and creative leasing solutions, Tetra has access to financing no other company has. Derek has had a significant role in bringing about the restructuring of Tetra’s online services, to help bring a new focus to the company. He is happily married with five children, and his hobbies include playing basketball and golf. Jeremy Robison has years of experience working in the financial industry. After he earned his Associates degree from Salt Lake Community College, he began working for a Fortune 500 life insurance brokerage Bisys Company, where he provided administrative services to assist the organization. After he left Bisys, Jeremy worked for another Fortune 500 company, Cintas. There, his responsibilities included new business sales, management, training, and support of service workers. 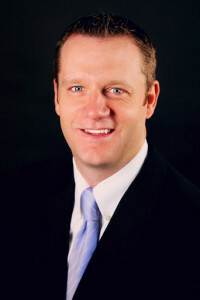 While working for Cintas, Jeremy attended the University of Utah and the University of Phoenix, earning a Bachelor’s degree in business management. Jeremy then began working for Fidelity Investments, where he provided trading services, portfolio allocation, and investment advice for the company. He worked his way up to become a leader in trading for the company, and received several honors, including awards for being in the top 10% among traders in the company. In July 2007, Jeremy became Vice President at Tetra Corporate Services (Tetra), a company that specializes in equipment leasing and financing. Since coming to Tetra, he has handled numerous lease transactions, and with his experience in financing and business management, he has been able to help Tetra meet the needs of many of their clients, from Fortune 500 companies to small businesses, and everything in between. Jeremy and his wife have three children. He enjoys coaching little league and playing golf, tennis, and basketball. Deanna has a proven track record with a 25+ year career in the Equipment Leasing industry. 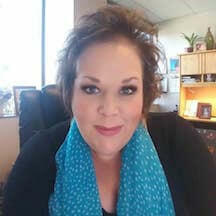 Her background includes all aspects of lease documentation, administration, credit review, remarketing and operations. Deanna’s extensive experience and training in equipment financing enables Tetra Corporate Services to complete legally compliant and uniquely customized transactions in a short period of time. 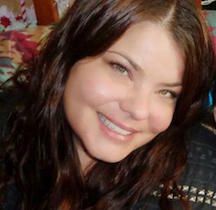 Prior to joining Tetra in 2009, she worked as Vice President of Documentation for several other Equipment Leasing companies in Utah and southern California. She is happily married and loves to spend time with her husband, two boys and her very spoiled mini dachshund. She hopes someday to return to the stage to pursue her love of musical theatre and utilize the training she received at California Lutheran University. Monica is the most recent addition to the Tetra team. She brings a great deal of beneficial skills. Formerly in construction, her knowledge of contract management is proving to be very valuable. Monica is looking forward to a long employment history with Tetra. Monica is engaged and enjoys spending time with her fiancée and daughter. She also spoils her animals relentlessly.